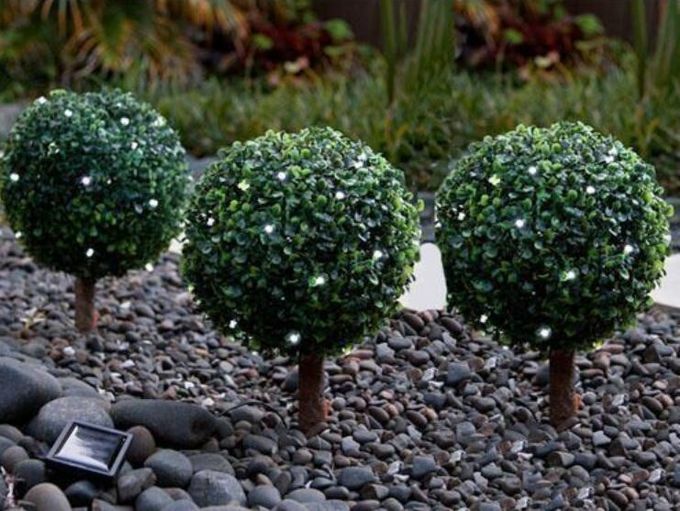 Keep your garden decorated all year round with this glimmering set of Bay Tree Lights. Easy to install, simply stick the trunks into the ground and for best results, place the solar panels in a sunlit area. 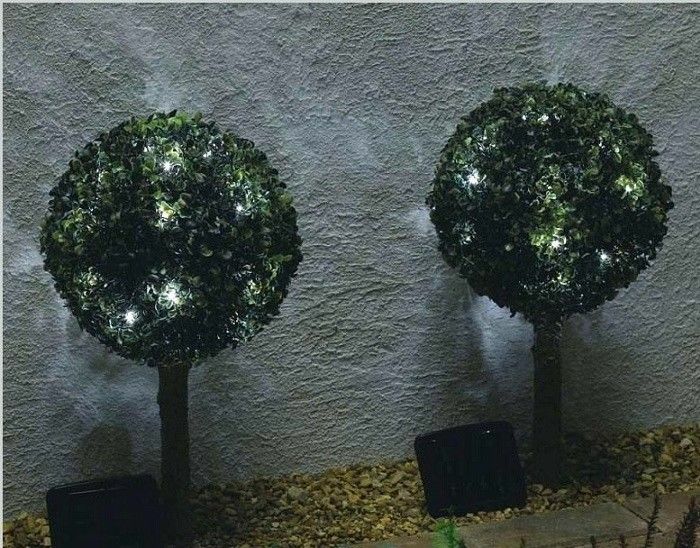 Great for framing an entrance or path way the pretty round leaf designs will impress your guests with no strimmer necessary!